Friend of the podcast Andy Johnson returns to give us some news and tell some stories all related to things that begin with the letter "M". Intro & outtro transcripts available. Talking to my mum about the royal wedding between Prince Harry & Meghan Markle. Describing the ceremony, the guests and the dress, and discussing the place of the monarchy in modern British life. Some transcriptions and vocabulary available. 527. Can Paul Taylor Pass The UK Citizenship Test? [Audio version] Catching up with Paul Taylor and talking about his recent trips to Japan & Barcelona, the pros and cons of being a tourist and some recommendations for people visiting London and Paris as tourists. Video available on the website and in the LEP app. 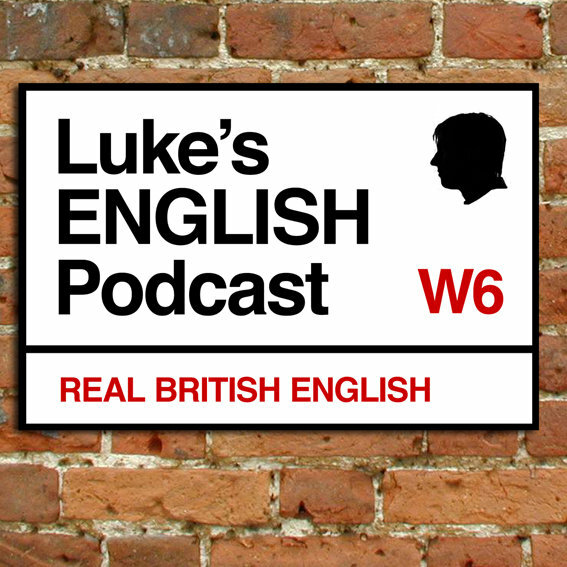 Click the link and search for "luke's english podcast"
Thank you to everyone who's already voted.